A little while back we had what we term a “Grill Week” where almost everything we made for dinner was grilled up by Ktams–I also happened to have a good amount of molé sauce left in the fridge with the chicken we were going to use. I created a marinade for the chicken of a few tablespoons of delicious molé, some chili powder, garlic, and cumin and sent him out to grill. It came back beautifully browned and amazing. If you ever make quesadillas you probably know they can be a bit lacking in flavor sometimes. 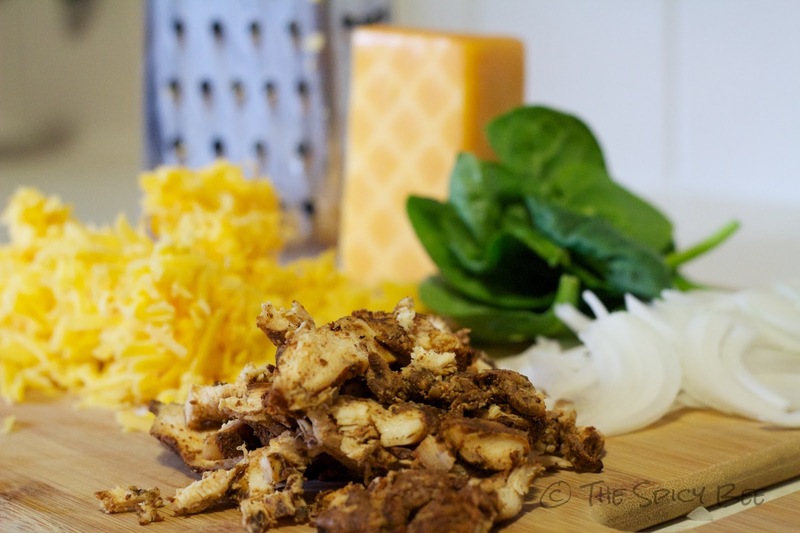 I worked to fix that by subbing in a rich smoked, sharp cheddar and the mole marinade. It made for some very happy bellies! How are you enjoying this gorgeous weekend? Perhaps you’re going to the International Beer Festival? Or maybe just enjoying a leisurely weekend in the sun? 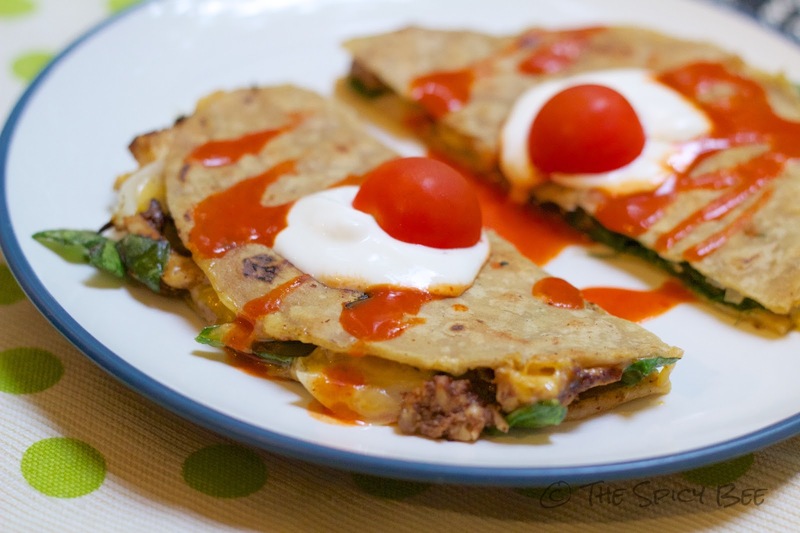 However you plan it–see if you can squeeze in a batch of these delicious (GLUTEN FREE) quesadillas! 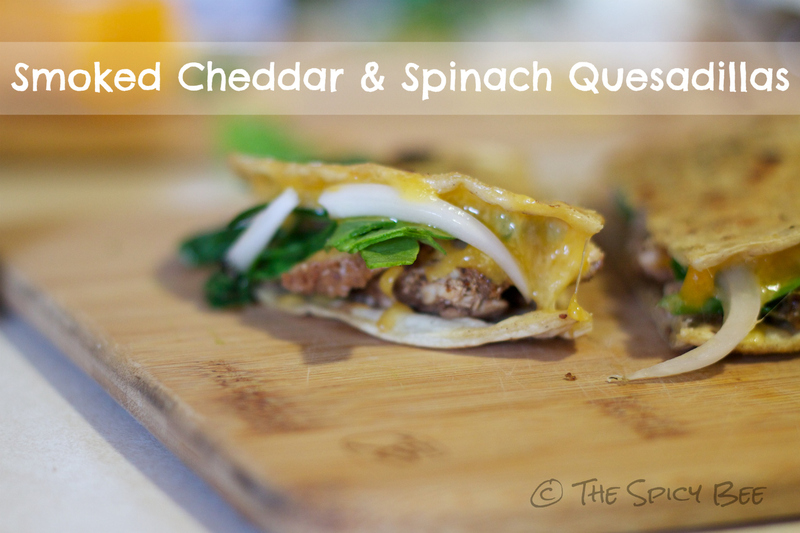 How do you spice up simple quesadillas?